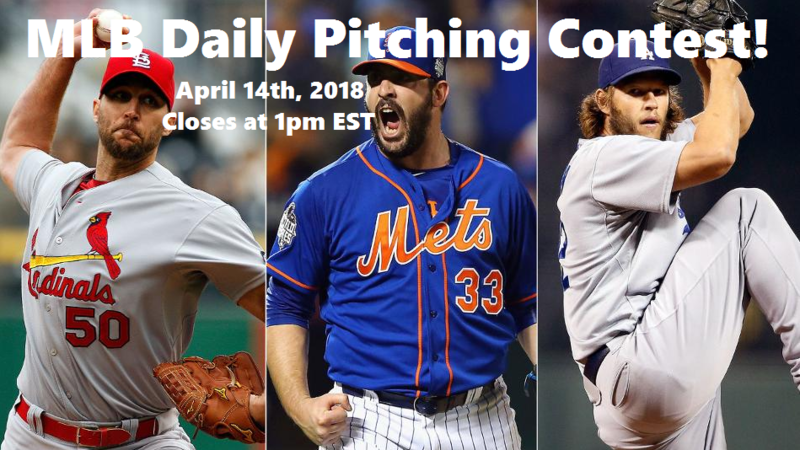 MLB Daily Pitching Contest! April 14th, 2018 - Today's Contest & Yesterday's Results! - Win all the GBG's from this post! MLB Daily Pitching Contest! April 14th, 2018 - Today's Contest & Yesterday's Results! First let's look at yesterday's results! Nobody won again because nobody played again. Every day there is baseball there will be a MLB Pitching Contest. In respect to a tie each day you must select the number for the highest strikeout pitcher without going over. If a tie still exists after that the payout will be split. Keep an eye on the weather guys!